(1) Satoshi Iizuka, Edgar Simo-Serra, Hiroshi Ishikawa: “Let there be Color! : Joint End-to-end Learning of Global and Local Image Priors for Automatic Image Colorization with Simultaneous Classification.”; ACM Transaction on Graphics (Proc. of SIGGRAPH), Vol. 35, No. 4, #110, 2016. 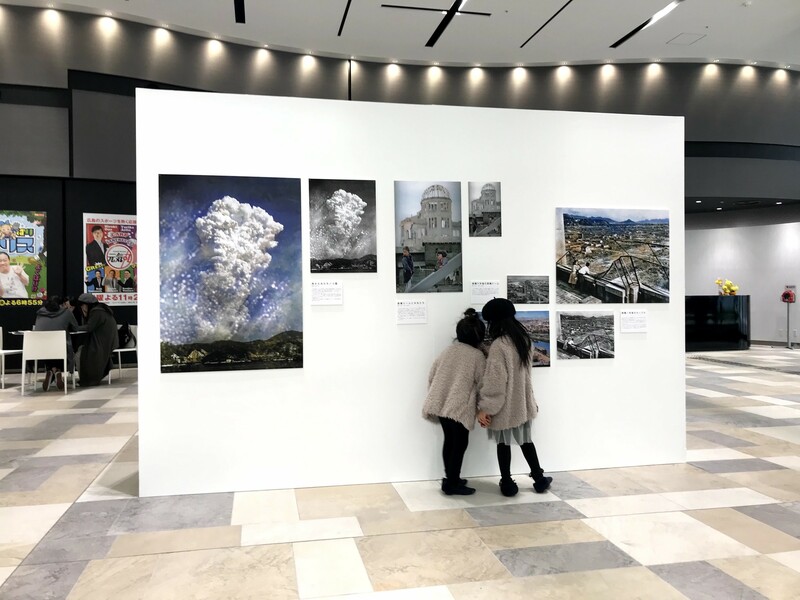 We held an exhibition titled “Rebooting Memories: Hiroshima’s time advancing and breathing through colorized photographs” at Hiroshima Television Building from November 23rd to December 2nd, 2018 (hosted by Hiroshima Television Corporation and Hidenori Watanave Lab). For about a year, we have been promoting the “Rebooting Memories” project in Hiroshima. “Rebooting Memories” is an activity that creates places of dialogue based on photographs automatically colorized by an artificial intelligence technology(1). This increases the information value by converting records “stocked” in society into “flowing” images, thus transmitting past memories to the future based on emerging communication. This exhibition was a compilation of our achievements so far. Our project began with an encounter with a high school student. 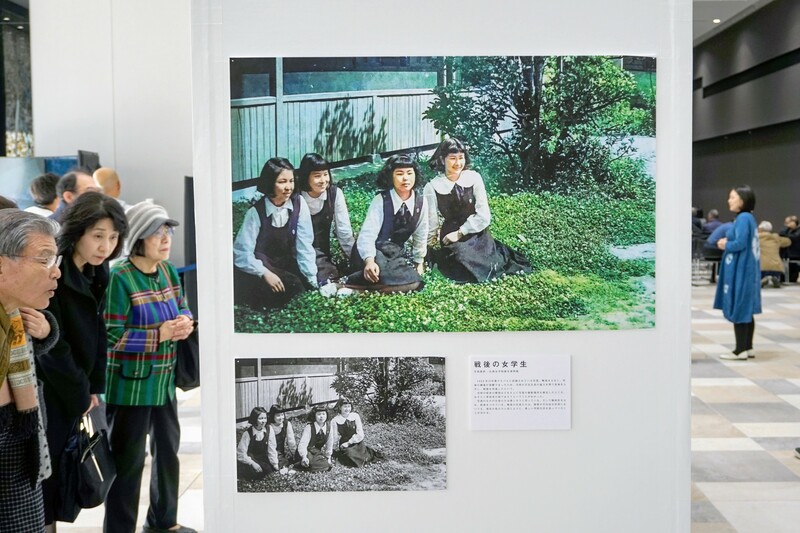 Ms. Anju Niwata at Hiroshima Jogakuin Senior High School belongs to the school’s signature collecting committee and participates in the activities of our laboratory’s “Hiroshima Archive“. She is very enthusiastic about peace activities. About a year ago, I taught her the technique of automatic coloring. This was the beginning of everything. Ms. Niwata focused on the “former Nakajima District” before the atomic bombing which is now the Hiroshima Peace Memorial Park. She has interacted with Mr. Tokusho Hamai who once lived in the district and lost all his family as a result of the atomic bomb. 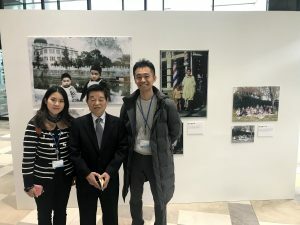 She linked her empathy with Mr. Hamai with the technique of automatic colorization. The district that has now become a park was once a downtown area inhabited by 4,400 people. Peaceful lives there were lost forever as a result of the atomic bomb. She wanted many people to feel the importance of peace through these facts. 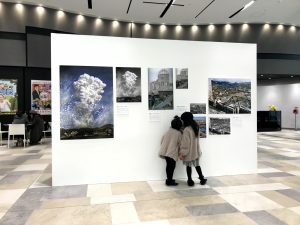 The exhibition was realized with the help of many people, based on this simple concept originating from a high school student born in Hiroshima. 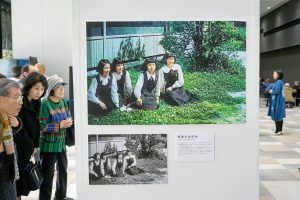 During the exhibition, more than 3,500 citizens visited the hall. We also held a colorization workshop and a symposium at the venue. There was a place for a friendly conversation between atomic bomb survivors and citizens, sitting at a table set in the center of the hall. 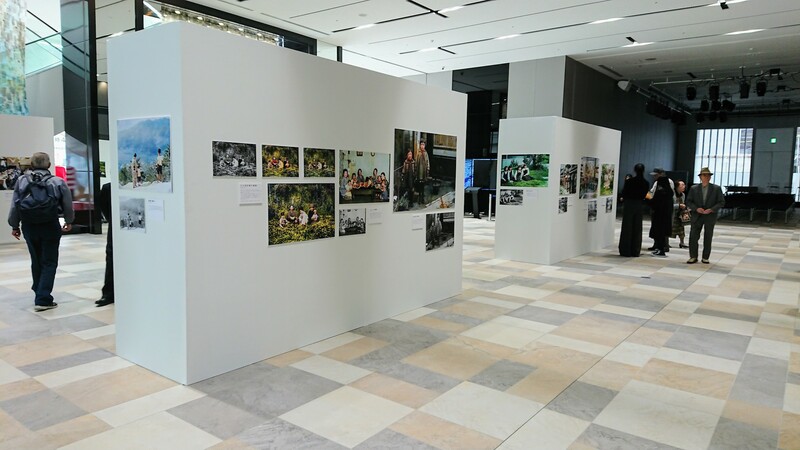 Additionally, a film work of the same title by Ms. Niwata and Mr. Tetsuya Yamaura (Graduate School of Tokyo Metropolitan University) received the Student Division Award at “UNITED FOR PEACE FILM FESTIVAL (UFPFF) 2018” and they were invited to United Nations Headquarters (NY) for a screening and a speech in November. 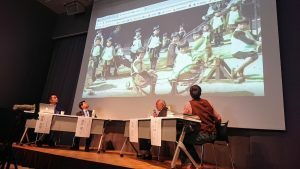 Ms. Niwata and I were also invited to make a presentation of our project at a global policy forum on disaster risk reduction for preserving documentary heritage held by UNESCO Headquarters (Paris) in December. The sincere ideas of young people and small but valuable activities were helped by many people and delivered to the world. We will not forget what happened in the past year in Hiroshima. 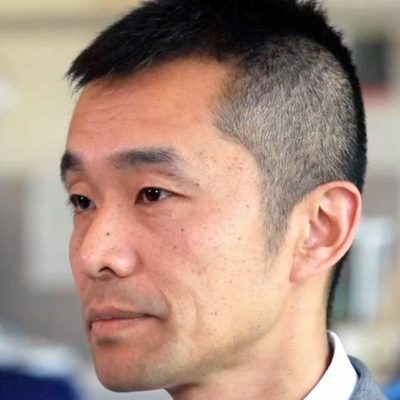 Copyright © 2019 The University of Tokyo Interfaculty Initiative in Information Studies. All rights reserved.